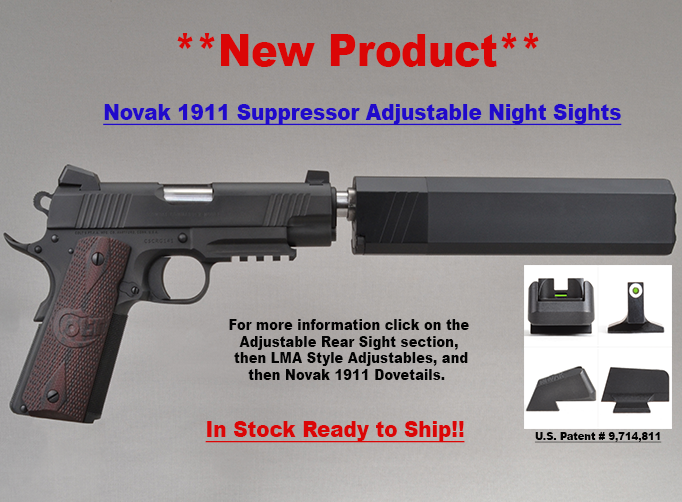 The new uniquely designed and patented (US patent #9,714,811) adjustable suppressor sight for use in the Novak LoMount® 1911 .495” x 65° rear dovetail cut. 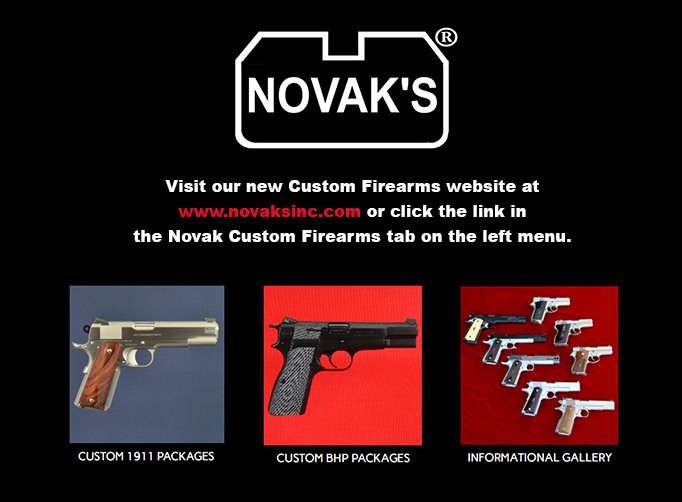 This sight is modeled after its original Novak LoMount Adjustable counterpart to emulate all of its industry leading and benchmark benefits, but now adding the capability of screw adjustment for elevation, drift adjustment for windage, and the sight height needed for 1911's with equipped suppressors. This design was purposefully engineered to greatly enhance the strength, durability, and reliability of the adjustable type sights. The probability of failures due to component fragility and fatigue is virtually eliminated by this state of the art design. This new LMA series adjustable sight is a direct replacement for the current Novak LoMount 1911 fixed sight and it uses the .280" tall front suppressor sight height. One of the major additional benefits of the new adjustable suppressor sight is the ability to correct point of aim/point of impact issues due to changes in various ammunition types, suppressors, or factory pistols that have a minor lockup issues. 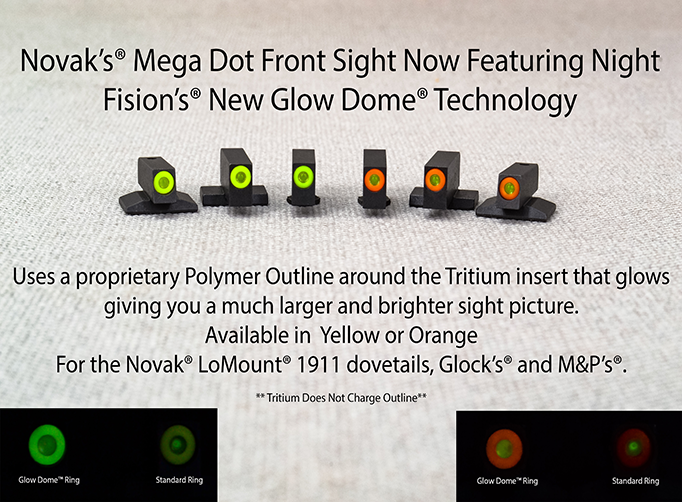 The tritium bar rear in the LMAS04 variant is one of the fastest, less confusing sight pictures available. 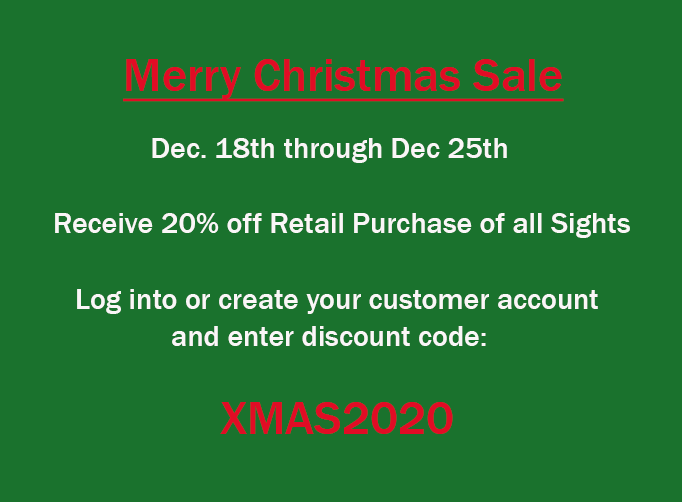 The opposing shapes of the front dot with the horizontal bar rear is a preconditioned response for anyone that has signed their name on a line. The method in which the tritium bar is installed is also a part of the new patented design. 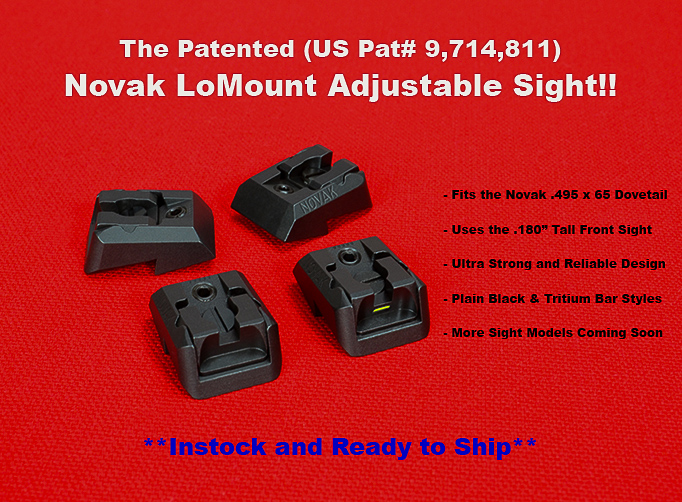 All of the same exceptional traits and extreme durability of the fixed Novak LoMount rear sight is now available in the ultimate adjustable suppressor format.